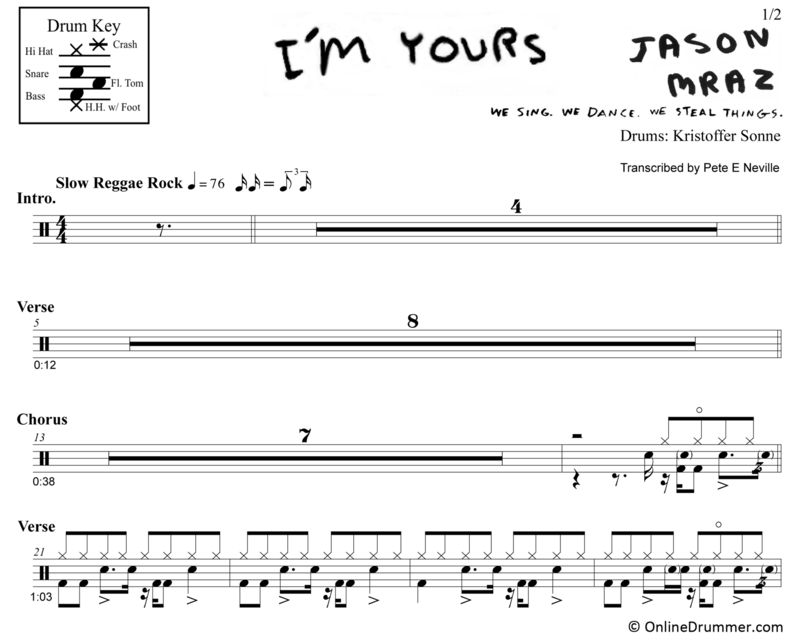 The full drum sheet music for “I’m Yours” by Jason Mraz from the album We Swing. We Steal Things (2008). This laid-back, reggae-style drum part grooves. The ghost strokes peppered throughout make it swing. Some of them have more difficult placements, but don’t let those stop you from playing the song. The drum part will still sound great. Well done Kristoffer Sonne!